If you already have an established WordPress website, no doubt there are times where you wish that you had White Glove Support or just needed little help here and there, right? Even if you are a DIYer it is not uncommon to inevitably run into tasks where you discover you need assistance to ensure proper implementation. WordPress À La Carte Services! These are the most popular À La Carte service offerings based on years of client requests. You can have the assistance you need when you need it! You bet! If you are a DIYer no doubt you are wondering if everything is setup properly and working as it should. How does your website perform? Is it zippy and secure? Do you have “SEO” right? How about branding, updates, what else am I missing? Order a site review and I’ll login into your site, run your site through some tests to see where we can improve and provide a personalized PDF report with info you can put to work today! My Website Needs a New Look! If you haven’t updated your WordPress theme in a year or two you are missing out! (And you probably look outdated — not good!) From the benefits of mobile responsiveness, having Gutenberg integrated, site speed, features and functionality. Let’s bring you up to speed! 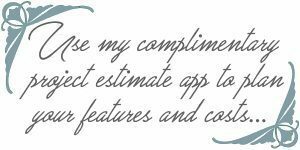 Use my Complimentary Estimate App to choose your options! Let’s say you just need a couple site tweaks. Things like font sizes changed, link or headline color changes, how to integrate your eBook for sale or how to install and configure a specific plugin. You have the option to reserve my help an hour at a time. Get a helping hand when you need it! When WordPress and plugins update, you need to update! The sooner the better so as to address any bug fixes and get any security hardening in place. But before you do that, you need to do a thorough backup. My White Glove WordPress Support Subscription handles all that for you. When updates happen, you need not do a thing! 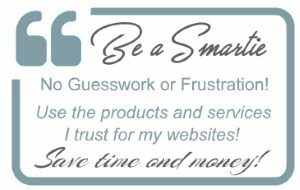 I automatically take care of all this for you (and much more) and offer a customized website intelligence briefing report every month with recommendations and suggestions too! Tell me more! If you do not already have a Blog, why not? This is called lost opportunity! Blogs are the best way to get your message out and connect with your current and new customers alike. Not to mention when you have great content, your rankings and online exposure benefit as well! Let’s get a WordPress Blog setup for you with the look, feel and organization that will allow you to build your brand’s legitimacy and trust factor. Use my Complimentary Estimate App to choose your options! Not sure what your next step should be? How to market your new site? Which theme to choose? What you should consider? Is your site cool enough? Fast enough? Schedule a Live Session where we can discuss your options via live video conferencing. Don’t have a webcam? No worries I can still help point you in the right direction with a one-on-one telephone coaching session. Either way you will have all your questions answered! I need answers! Getting hacked is no fun! Let’s do our best to avoid that by making sure we have all the basics in place including adding https: and security hardening right now. Must do! Secure me! You can have both RSS and Newsletter sign-ups on your site. Mailing lists are golden and one of the primary ways for you to nurture your relationship with new and current customers alike! We’ll get your service of choice (MailChimp, MadMimi, ConstantContact, etc.) setup with your branding/logo so you can easily market to those who want to know more about your business. Sign me up for sign ups! All your social sites should have the same look, feel and color palette. That’s called branding! Let’s create a package of graphics to make sure folks know they are in the right place when they land on any of your social pages. Brand me! We’ll get your site verified with Google Console and connect analytics to your site. This will allow you to track and view all the data Google has associated with your website. Including any errors or crawl issues that Google may discover. Hook me up! Want to start monetizing your site by adding AdSense and or other advertising networks to your site? Yep, that can be daunting. Where? How? Do I need a plugin? Which plugin? We’ll get the setup in place that fits your site. Let’s monetize!